Small 6 Inch Cherry Vanilla Layer Cake with a cherry filling in between two layers of vanilla cake from scratch. Made in 6 inch round cake pans. Remember the sour cherry jam recipe I posted? 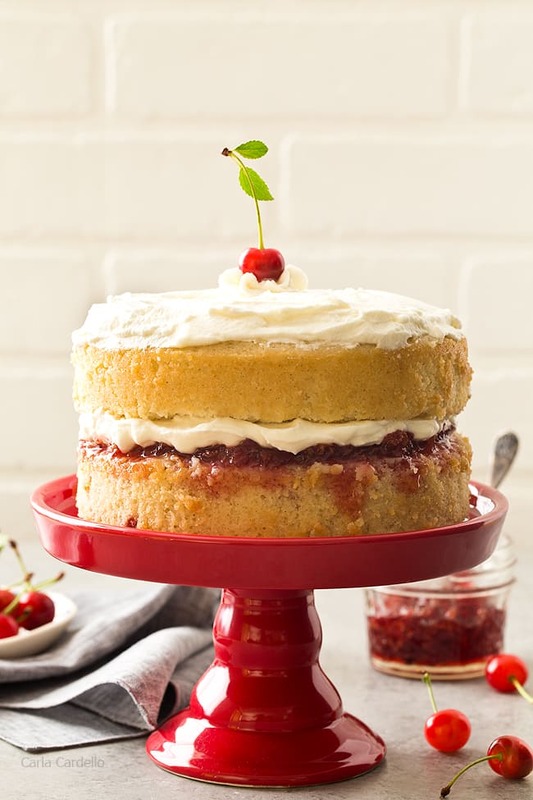 It’s making another appearance as a cake filling for this Cherry Vanilla Layer Cake. 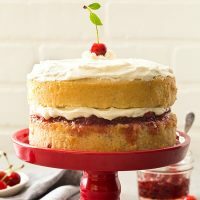 It’s a two layer vanilla cake recipe with a homemade sour cherry jam filling in the middle then topped with whipped cream from scratch. The second reason is because I picked a giant bucket of sour cherries. I first started picking cherries about 5 years ago when I lived in cow country. I spent 4 years in the middle of nowhere for a job, so I had to find ways to keep me busy on the weekends. When I moved back to Pittsburgh, I found a farm about 30 minutes away to continue the tradition. To come up with this cake recipe, I worked backwards. I knew in order to match my cake stand, the filling had to be red. Hence the cherries. Then I started thinking about cake flavors that pair with cherry. I already have recipes for devil’s food and funfetti, so vanilla bean came to mind. What’s different about this cake than my other layer cakes is I finally bought two 6-inch round cake pans. Normally I use 8-inch, but seeing I wanted to focus on smaller serving sizes, a 6 inch layer cake seemed fitting. But don’t worry. If all you have are 8 inch pans, I’ll tell you how to adjust the recipe (hint – you don’t!). If it’s not fresh cherry season or if you don’t want to make homemade jam, you can certainly buy a jar from the store. You can even change up the flavors with strawberry jam. 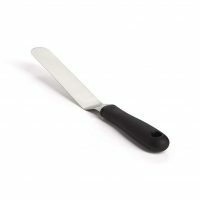 I get asked how to convert cake pans all the time. The good news is during my testing, I accidentally didn’t math right and discovered the batter for one 8-inch cake pan that is 1 1/2 inches deep is equivalent to a 6 inch cake pan that is 2 inches deep. That means you don’t have to adjust the ingredient list for an 8 inch pan (but only if it’s 1 1/2 inches deep. It’ll be too thin for 2 inch deep pans). A light frosting seemed fitting for this cake, so I opted for homemade whipped cream rather than a heavy buttercream. Because whipped cream tends to weep (gets liquidy and no longer holds its shape), I added a bit of gelatin to stabilize it. If you’re serving the cake right away with no plans for leftovers, you can skip the gelatin. However, if the assembled cake will be around longer than 24 hours, I highly recommend adding the gelatin. Preheat oven to 350F. 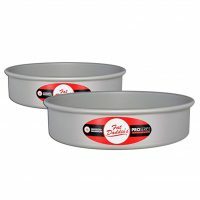 Grease two 6-inch wide x 2-inch deep round cake pans and line the bottoms with parchment paper. In a small bowl, mix together the sour cherries and 1 teaspoon sugar. In another large bowl with a mixer on medium speed, beat together the butter and remaining 1 1/2 cups sugar until creamy, 2-3 minutes. Beat in the egg whites, one at a time for 1 minute each, then add the vanilla. On low speed add the flour mixture alternating with the milk, adding the flour in 3 additions and the milk in 2 additions (begin and end with dry ingredients). Drain the cherries and stir into the batter. Divide the batter between the two cake pans and bake 30-35 minutes or until the tops are brown and a toothpick inserted in the center comes out clean. Cool for 15 minutes then invert cakes onto cooling racks. Cool completely. Right before assembling: In a small bowl, add the water. Sprinkle gelatin over top and let sit 5 minutes. Once set, microwave for 10 seconds or until gelatin turns to liquid. Make a double batch of Homemade Whipped Cream (get directions here), adding the liquid gelatin when you add the sugar. If the cakes are not flat, trim the tops. 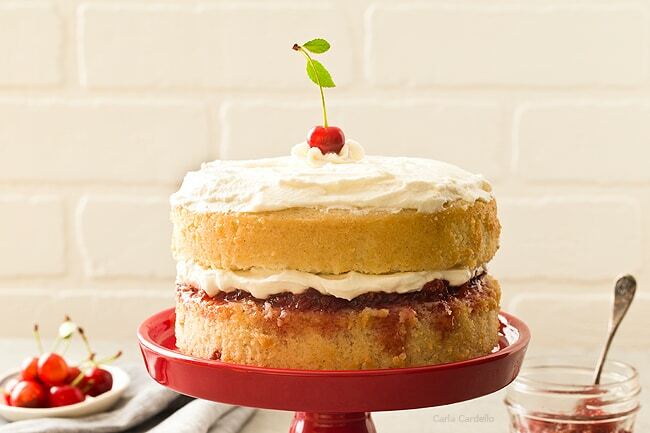 Place one cake on a stand or plate. Spread cherry jam on top (you may not use it all). Spread half of the whipped cream on top. Top with the remaining cake. Add the remaining whipped cream. Store the cake covered in the refrigerator. For best results, let the cake sit at room temperature for 30 minutes before serving. 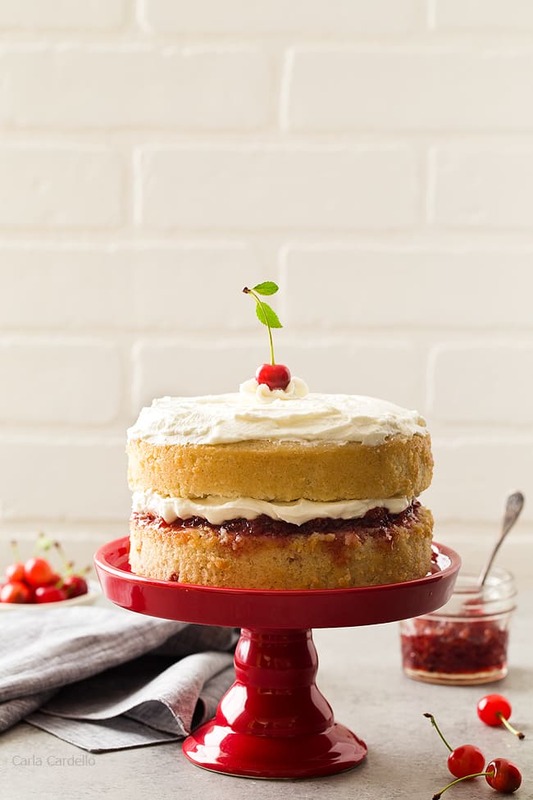 Delicious looking cake… I’m pleased that you now have 6″ cake pans and I look forward to more 6″ cake recipes from you.. Yes I can’t wait to share more 6 inch cake recipes! And strawberry will be the perfect substitute. Let me know how it turns out. Love cherry vanilla! And this will be my first layered cake, wish me luck! Good luck! 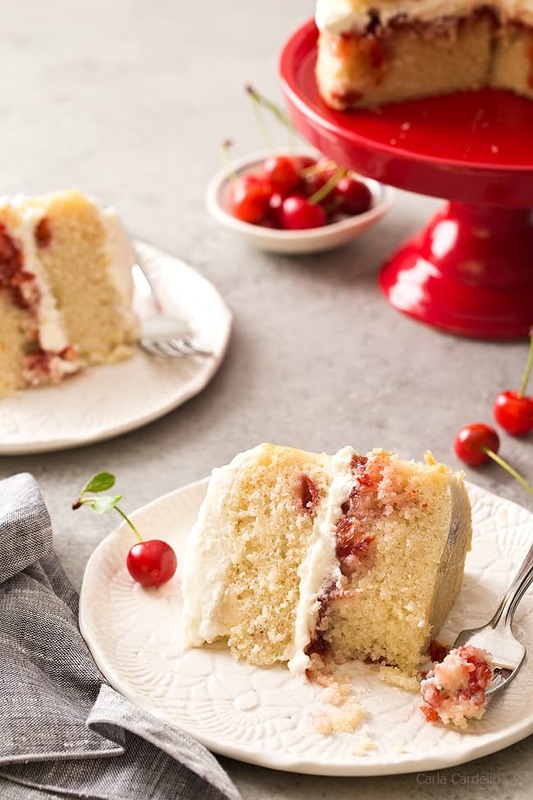 This cake isn’t too complicated as far as frosting and assembling goes, so it’s a good choice for your first layer cake. Oh I have an air fryer as well! I don’t have any recipes posted on the blog, but I did help develop 10 recipes for it in this booklet (they have my name on the photos in the corner (except the potato wedges – I didn’t make those even though my name is on them) https://www.gourmia.com/pdf_recipes/GAF400-AIR-FRYER-RECIPE-BOOK.pdf Have fun on your Australia adventure!